We offer our customers access to our custom-built eCommerce site. This site is available on any web enabled device, both desktop and mobile platforms. It offers all the standard functionality we have come to expect from robust eCommerce sites, but it does much more. Our system is designed specifically for large contractors – it is not intended for use by individuals. P&I Supply's eCommerce software is a web interface to our ERP system and all data is live and real time. Our site is highly customizable by user credentials. Authorized users can see open and past quotes, orders, and invoices. 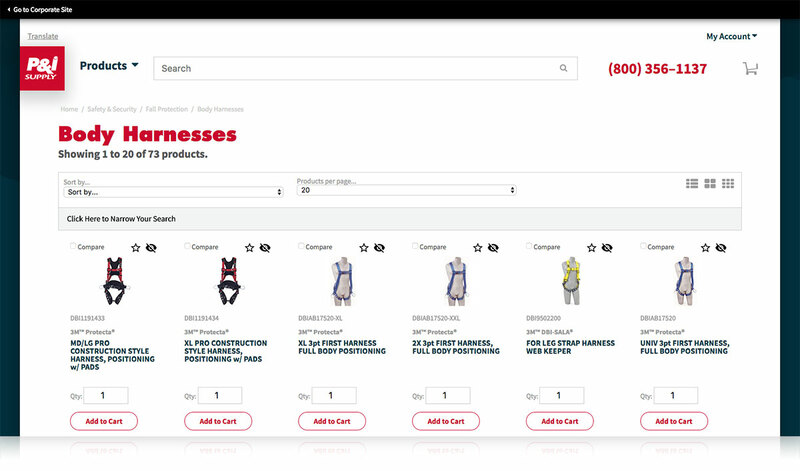 Users can search with Customer Part Numbers. 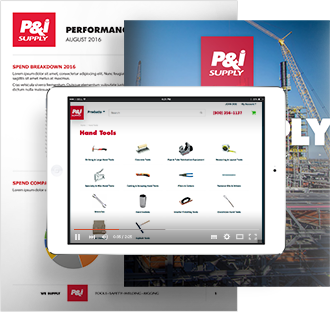 All your contract items or P&I PRO products will be loaded with rich content including specifications, images and more. Our inventory and database has specialized products used by large EPC contractors who build projects in the power industry, and in the oil, gas, and chemical sectors. These products make up over 80% of the items used by these industries. Our eCommerce website has recently been redesigned. These walk-through videos will reflect similar site functionality but will be updated soon to reflect our new design.